Hi friends, happy Monday to you! So how did your menu plan turn out last week? Any successes to share with us? Any fantastic recipes tried that you’d like to share with us? I not only tried a new recipe last week but a new food as well. I grew up hating brussels sprouts. I mean Yuck with a capital Y. So here we are 25 years later and I haven’t tried them since. But now that I have to eat veggies all the good long day (this has taken some getting use to for me) I thought I’d better line up some new options before I really went crazy with veggie boredom. My husband picked up some brussels sprouts and every time I opened the fridge I would just stare at them and then shut the fridge again. Just.couldn’t.do.it. So he got on the Google and found a recipe and made them for me. I can’t even begin to tell you how scared I was. I was gagging before even taking my first bite. But guess what? They were good, really good. No joke. No one was more surprised than me. I couldn’t believe it. My hubbie used this recipe for Brussels Sprouts with Toasted Almonds only without the almonds because I can’t eat those (also he used olive oil in place of butter). He says the trick is to not overcook them. Has anyone else learned to like brussels sprouts later in life or have you always liked them for as long as you can remember? Then wouldn’t you know it, just this week this post with 15 Brussels Sprouts Recipes popped up in my blog feed reader. I thought I’d share it with you in case you were also looking for a new take on this veggie. I hope you all have a deliciously organized week. If there is anything I can do to help you or resources you need please let me know in the comments. Lovely meal plan ideas. Thank you for hosting the link up! I just wish I could think of another name for Brussels sprouts. Then maybe I could convince my family they really are not bad with these great recipe ideas. I can so relate to this post! I HATED brussels sprouts growing up and could not get them down. Today? I LOVE roasted brussels sprouts tossed in olive oil, salt and pepper, and roasted! Thanks so much for hosting us… look forward to checking out all the great menus. Thanks for so consistently hosting each week. This is a treasure trove of resources and inspiration :-). I love reading other meal plans and I appreciate the traffic that your blog hop sends my way each week. Thank you! 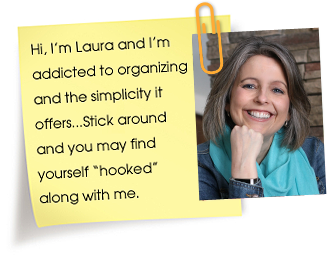 Oh, Laura…I am SOO much like you in this!! I even gagged looking at the picture! But if you can try them again, maybe I can too. I too am needing to get more variety in my vegetable eating (I really don’t like many vegetables at all, so it has been a sad sort of challenge) and find recipes that I can tolerate. I just might have to check out the produce isle for some *gulp* brussels sprouts. Thanks for sharing your bravery!! I, too, am a late-adopter of Brussels Sprouts. My sister loved them – we would go to grandma & grandpa’s house for lunch and she would practically jump for joy when they came to the table. I, on the other hand, would hide from anything green. But a few years back, we were having Thanksgiving at my in-laws’ house and my niece who was 6 at the time was eating them. Well, I could not refuse her sweet request to try some! 🙂 And I’m glad I did. They were frozen, and my SIL boiled them, then roasted them in a frying pan on the stove with a ton of butter & salt/pepper at the end. Big yes for me! They were great. I now eat them myself, even though my hubby isn’t a fan and neither of my boys will touch them. 🙂 They’re kind of nutty, have a texture like lettuce in my opinion, and I quite enjoy them just a little charred on one side. 🙂 Yum! Give ’em a try – you may be surprised. I only started liking Brussels Sprouts in the last year since going paleo! I still can’t bring myself to try Brussels Sprouts. Maybe one day. I started eating brussels sprouts when I was pregnant with my first child….I craved vegetables of any kind throughout the pregnancy. I have really tried to like brussels sprouts, but I just can’t make them work. I did try a new recipe last week: parmesan roasted butternut squash from Budget Savvy Diva. It was easy to make and so good! Also, very excited about the salmon recipe. Thank you! I had to laugh at your Brussel Sprouts story! I too think I hate them, though I am not sure that in my 56 years I have ever tasted one. Poor Brussel Sprouts – what did they do to deserve such bias? Your post has inspired me to try them soon. I even saw them recently sold at Trader Joe’s on the stalk. I had never seen that before. Thanks for the push to be more daring in my vegetable selection! I LOVE brussel sprouts! I cannot get my niece and nephews to eat them either. BUT, my husband, who never liked them, LOVES them now. I make them a lot of different ways! Thanks for hosting this link up! 2013 I think I hit every week, then last year, life and work got away from me, but I am determined to be better this year! I always been the weird girl who LOVES brussels sprouts. However, not everyone in my family and friend circle has felt the same way. 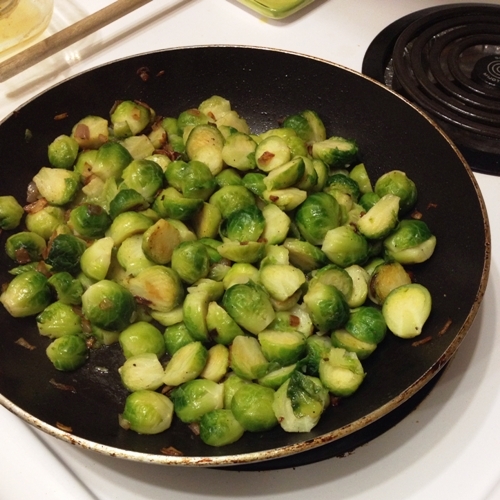 I was able to get them over that by roasting the sprouts simply with some olive oil, S&P, and small strips of bacon. The bacon really wins anyone over!! Hi Laura. Thank you for including my Cheese Ravioli Lasagna in your Saturday Menu Plan, I’m honored and I appreciate it! You have a fun and yummy site and I enjoyed looking around! I agree! I hated Brussels sprouts & now think they are sooooo good. I love Brussels sprouts, but my family does not. I may have to try one of these recipes and see if I can change their minds. Thanks for hosting another great party this week. Keep up the great work!